New courses available ! Linear algebra, Basics in cryptography. 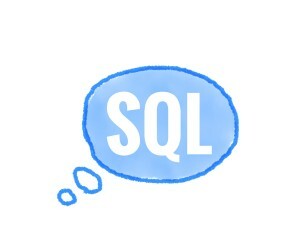 This course is intended for anyone with an interest in SQL. No prerequisites are needed. First, we are going to cover the concepts of entity, database schema, table, record, attribute, primary key, association, foreign key and data type. Second, we’ll see how to retrieve stored data from a database. For the latter, we need to make use of SQL queries. A database is an organized set of data. Those data are related from one another. Structuring data make the data management easier. Let’s take a practical example. You might have a loyalty card which you present at the cashier each time you do your shopping at your favorite supermarket. On the purchase a certain amount of data are stored in a database, such as the date of the purchase, the point of sale, the purchased products and the price of each, the data about the customer, etc. In this example, if data would be stored without any organization, it would be difficult to meet a specific request such as getting data about all customers having bought a product A from 2007-04-01 to 2007-10-20 to at the point of sale P.